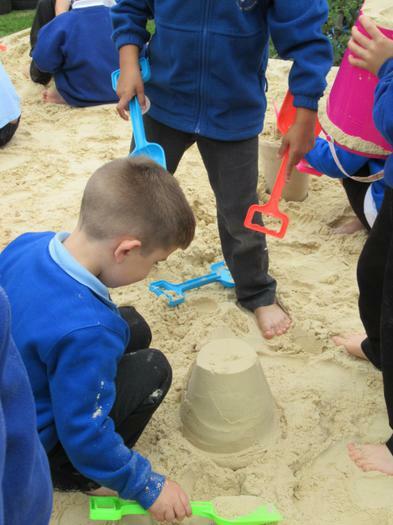 To kick start our new topic and introduce Katie Morag, we had a day full of beach activities. 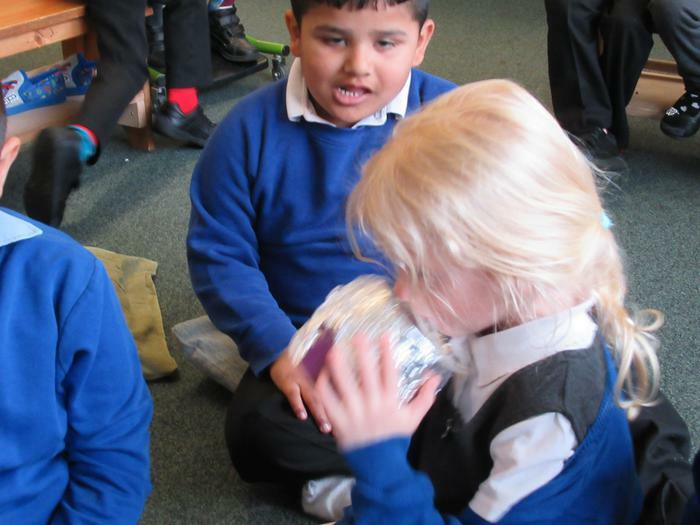 We listening to and then play some seaside sounds using percussion instruments. 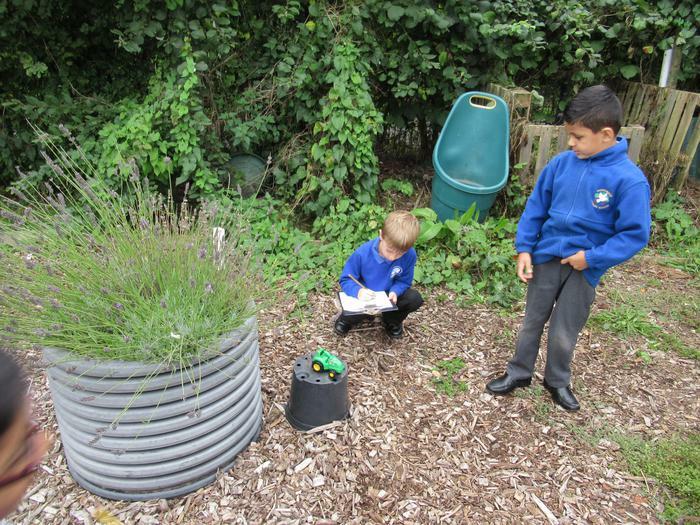 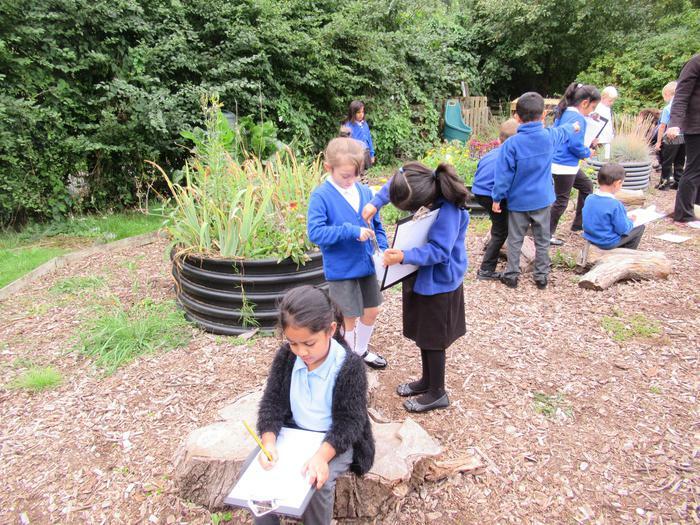 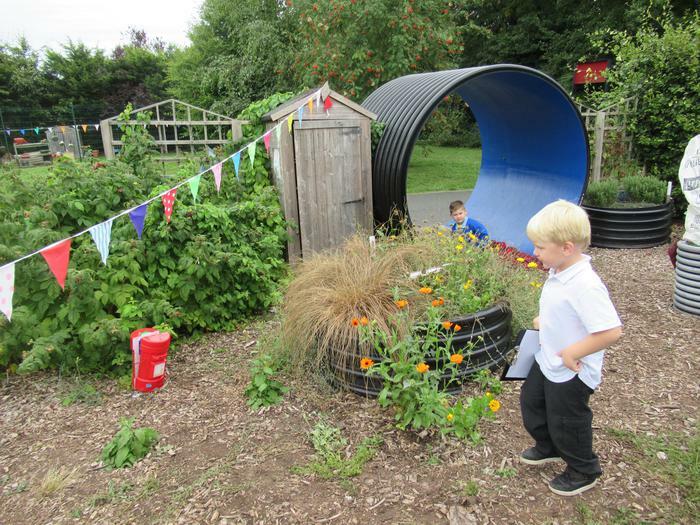 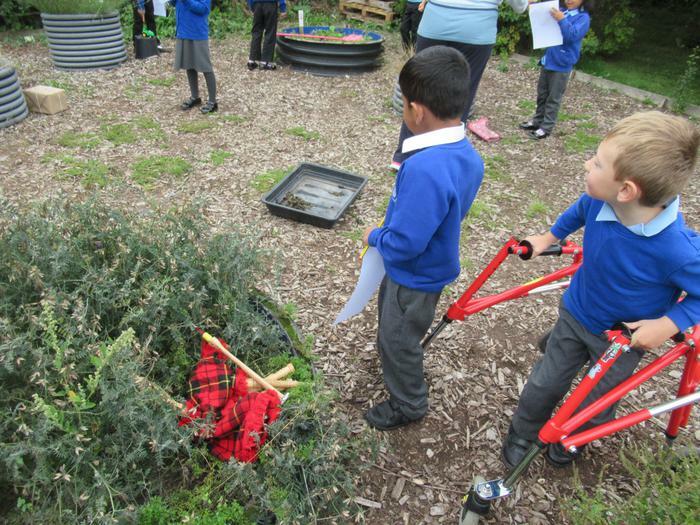 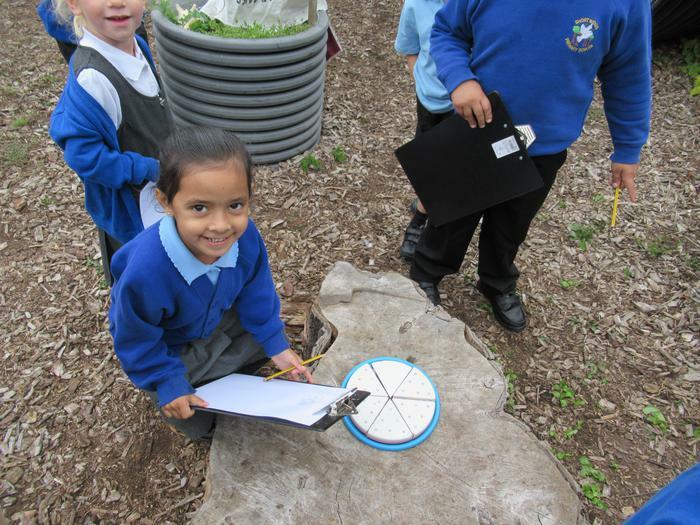 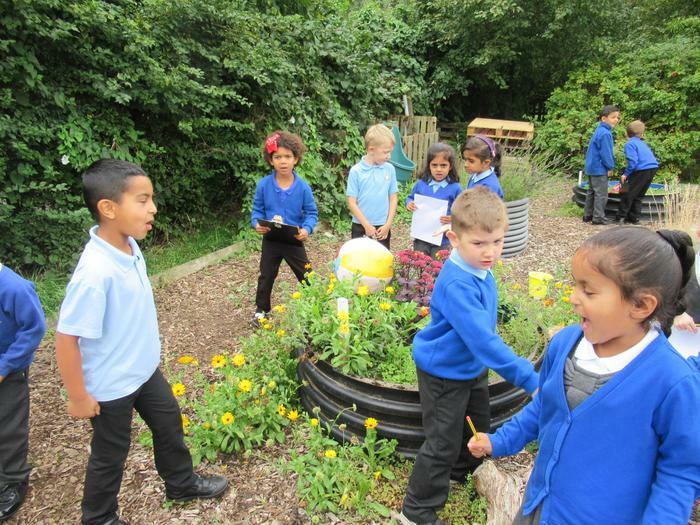 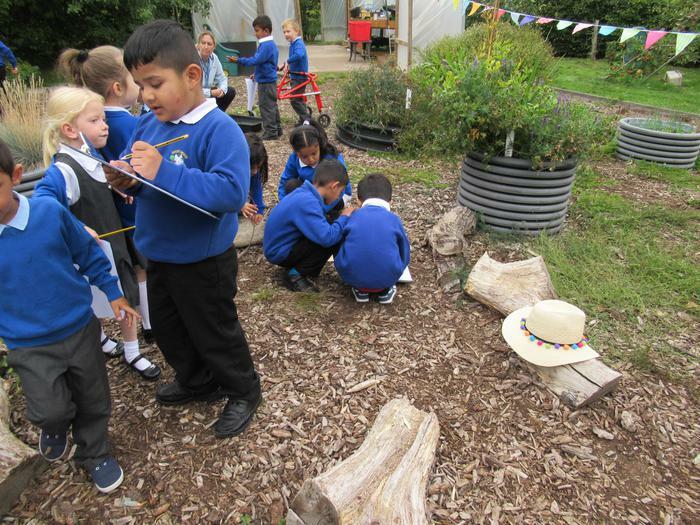 Then we went on a treasure hunt to the sensory garden to find lots of strange things that you wouldn't usually find in a garden. 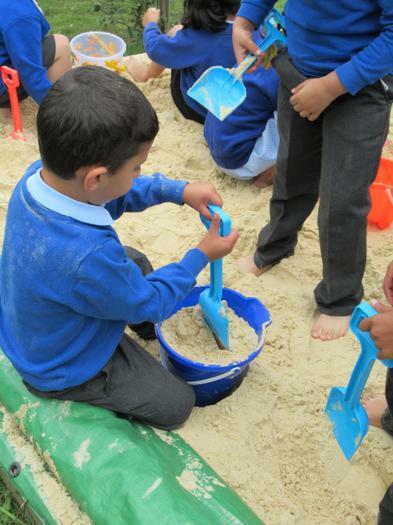 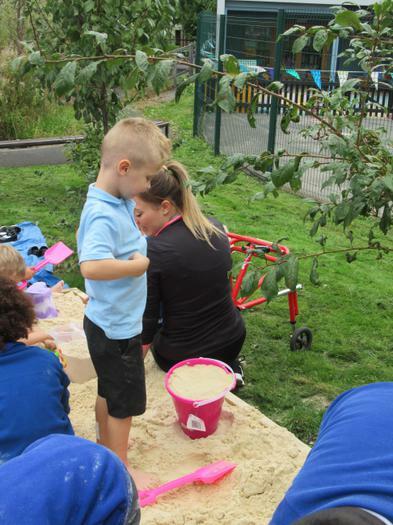 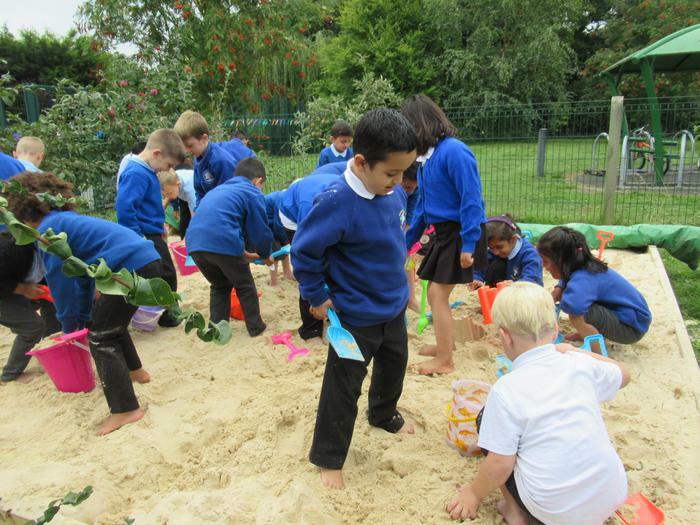 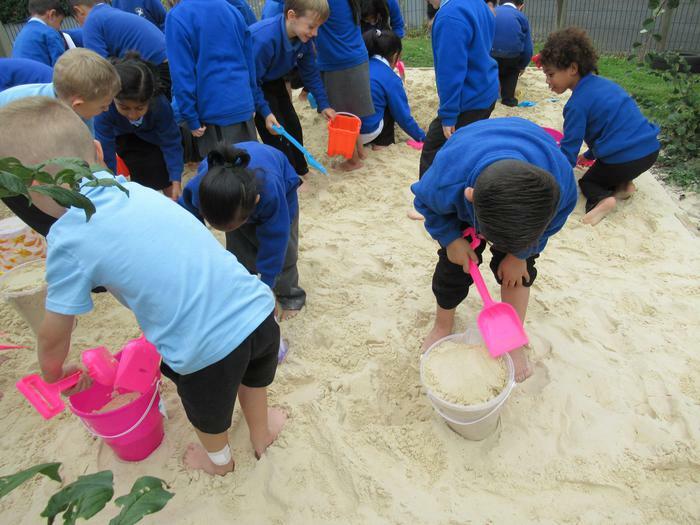 We had a fantastic time playing in the large sand pit (we could have stayed there all day) and then to finish our day we used our senses to explore some feely boxes and smelly pots. 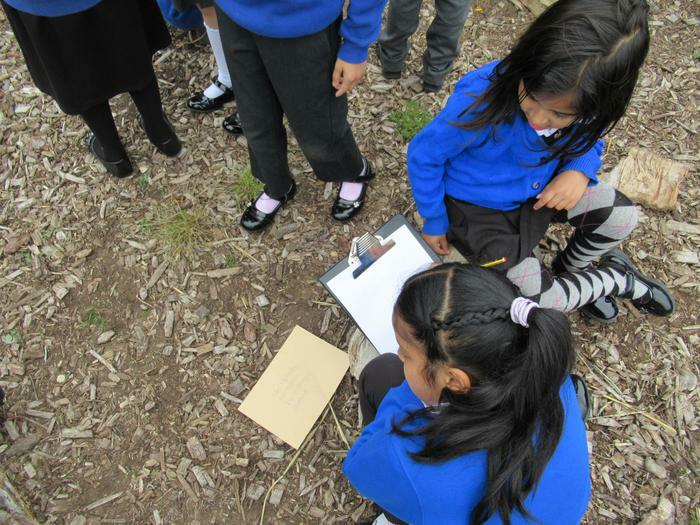 We felt shells, feather and seaweed. 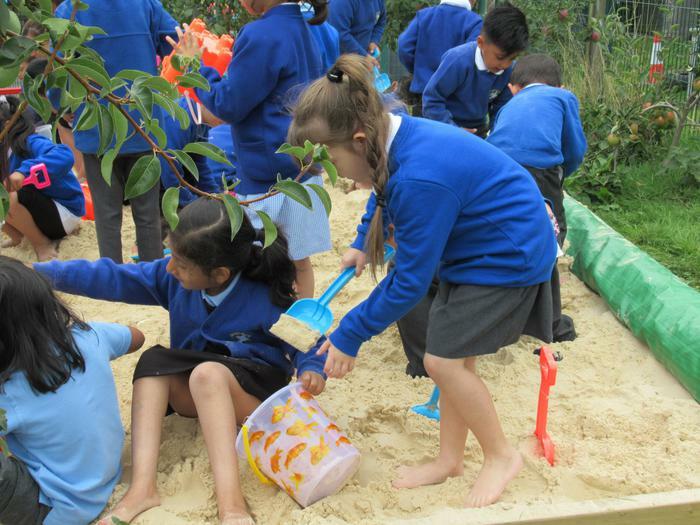 Then were very amused whilst smelling tuna, minty rock and seaweed. 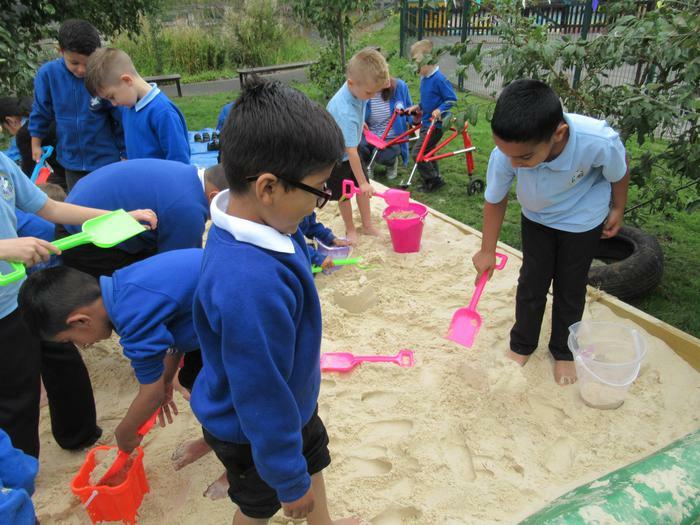 Overall a fantastically fun way to get excited about our new topic! 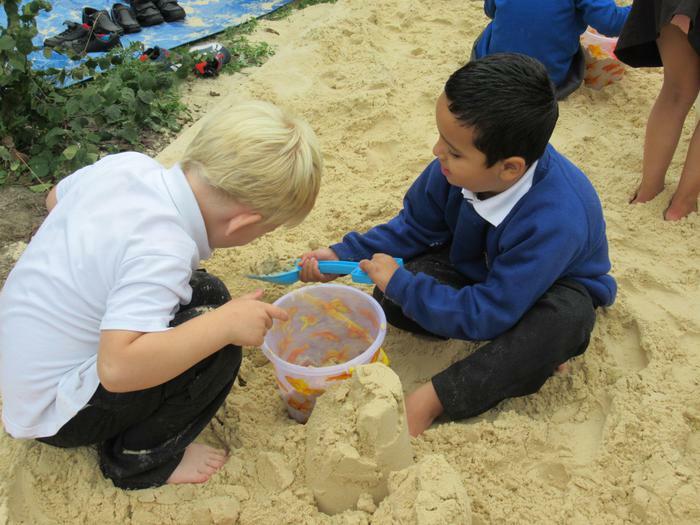 Enjoy looking through our photographs.